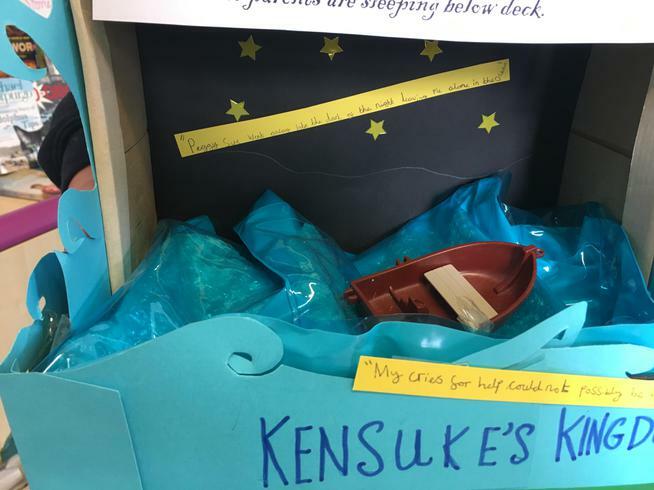 Oliver based his book in a box around 'Kensuke's Kingdom'. 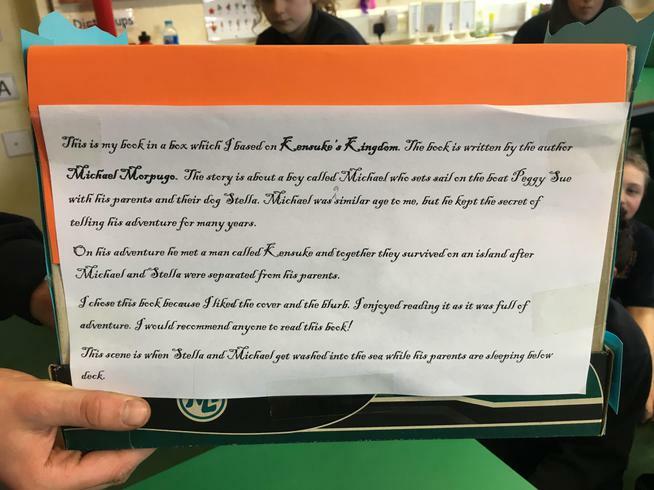 He discussed the plot of the story in detail and made the book sound so exciting - lots of Class 4 children now want to read this book. He reacted the 'turning point' in the story, where both the boy and the dog fell into the water. 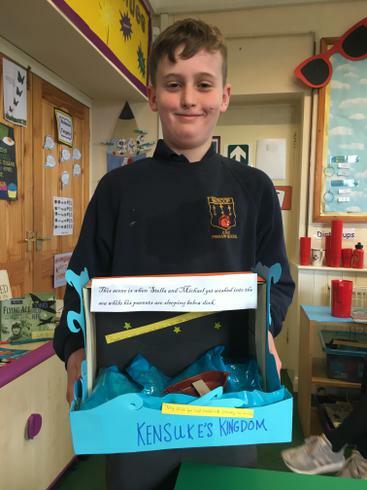 Star Piece: Oliver typed up notes on the back of his box to prompt him, but he managed to remember his whole presentation off by heart and delivered it with confidence!